My two great passions, which both are a big part of my life for over 25 years, come together in this digital world of music and color. The world of vinyl and graffiti art. For VINYL visit the shop. I travel all over the world to gather and sense music. 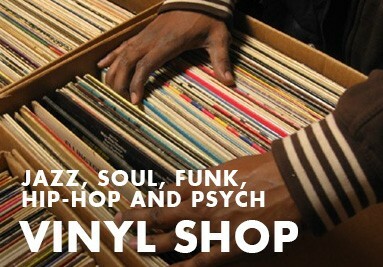 Especially Jazz, Hip-Hop, Funk, Soul and Psych with a funky touch are the genres I seek. I clean and listen to each LP individually, so you can be sure that grading not only optically and that get what you pay for. 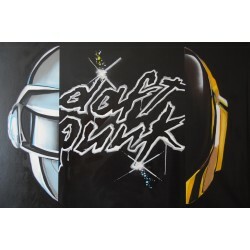 For GRAFFITI ART you can travel through the world of custom-made works on canvas and wall for both individuals and businesses. 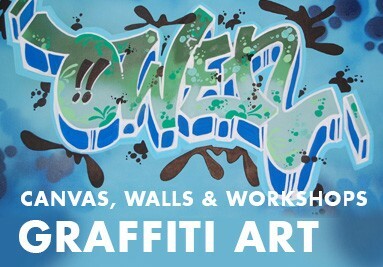 Also, you can come in for a creative, instructive and fascinating day in the form of graffiti workshops. 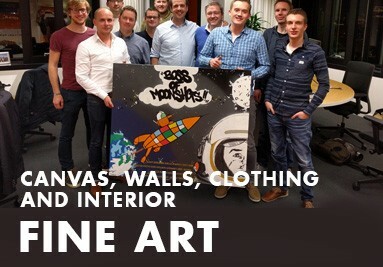 For FINE ART you can travel through the world of possibilities for customized work on furniture, t-shirts, sneakers. Marvel at how a colorful touch can give an item or object an entirely different form. Again, if you aree inspired by the possibilities, you can always feel free to contact me for questions. 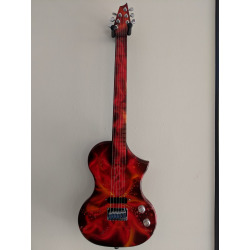 JIMI HENDRIX INSPIRED GUITAR. SPRAYPAINT, AIRBRUSH AND PAINT-MARKER. CUSTOM MADE. 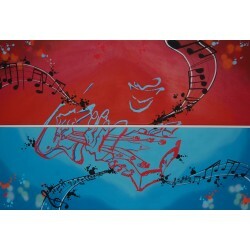 Custom-made graffiti on canvas and walls. Look at the many more examples displayed by clicking on the left! Personal and colorfully unique! "DANCE&YOGA STYLES". SPRAYPAINT AND PAINT-MARKER ON CANVAS. CUSTOMIZED MADE. 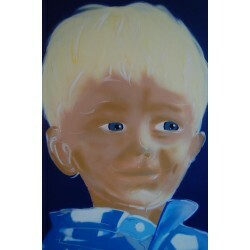 PORTRAIT "BLUE EYES". SPRAY PAINT AND PAINT-MARKER ON CANVAS. CUSTOMIZED MADE. 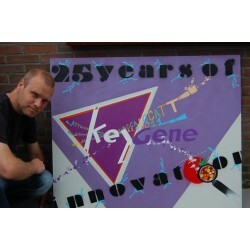 "KEYGENE 25 YEARS OF INNOVATION"
"KEYGENE 25 YEARS OF INNOVATION". SPRAY PAINT AND PAINTMARKER ON CANVAS. CUSTOMIZED MADE. 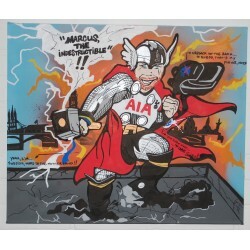 "THE INDESTRUCTIBLE". SPRAY PAINT AND PAINTMARKER ON CANVAS. CUSTOMIZED MADE. "GREEN ON RED&BLUE" SPRAYPAINT AND PAINTMARKER ON CANVAS. CUSTOMIZED MADE.